Even with a slightly pared-down schedule, the prospect of mapping out Pittsburgh Craft Beer Week activities seems daunting. But I’m going to give it a shot anyway. The sixth edition of the region’s craft beer showcase gets started Friday with the Commonwealth Press Beer Barge, a floating festival that sold out in seconds again this year, and wraps up with the third edition of the Brewers’ Olympics, the contest held at Grist House. I’ll be at both of those (and as of this moment, you can still get tickets to the Grist House event). The rest of the week isn’t so tidy, at least not for me. Organizers had a goal of looking for quality events rather than hitting a specific number; they did that successfully, but there are still plenty of instances when it could be tough to choose between two or three good ones going on at the same time. But at the most basic level, beer week is about two things: events and beers, so let’s break it down that way. A highlight every year is the collaboration beers brewed by teams from multiple breweries. There are a bunch this year, but in a new wrinkle, they all have two things in common: each beer had to contain honey malt and 007 hops, an experimental variety from Idaho. That was a nudge away from the norm, and the teams reacted appropriately. The geekiest of beer geeks will know what a grisette is (and if you don’t, make sure to track down the Men at Works collab from Church Brew Works and Butler Brew Works). But do you know what a sahti is? I didn’t, Turns out it’s a delicious ancient style with roots in Finland; the Buzzerker, from Rivertowne and King View Mead, reminded me of a slightly herbal barleywine. But as you run down the list of collabs — I got to taste most of them at a preview event last week — you won’t find a bad one in the bunch, and that’s a testament to the brewing talent we have in town. And those are just the official collabs. As you poke around during the week, you’ll find others. I’ll make a special trip to Caliente in hopes of getting a taste of Won’t You Be My Neighbor IPA, a collab with Helltown. And on Saturday, I plan on stopping by Spoonwood for a taste of barrel-aged Beard of Bees, a collab with Apis Mead and Winery. 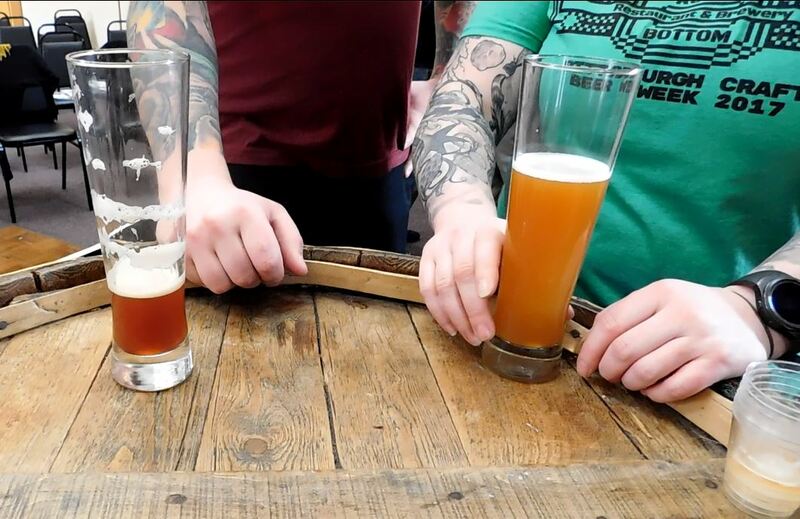 If you’re more of the hands-on type, you should get out to South Park on Saturday morning; that’s where members of Three Rivers Underground Brewers will host a homebrewing class and demo for the second year in a row. The classroom portion of the event comes with a fee (it’s worth it, boys and girls — these are some of the best brewers in town); after noon, though, you’re welcome to stop by and watch as these folks brew and answer your questions. There is also plenty of homebrewed beer there to sample. Leave it to Rock Bottom Restaurant and Brewery to up the creativity on their new offering for 2017. The same folks who brought you Brewtal, last fall’s beer and heavy metal fest, have dreamed up PCBW’s first video game tournament and craft beer combo festival, to benefit Variety Pittsburgh. Contestants will play Super Mario Cart or Mortal Kombat 2 on big screens, non-contestants can drop quarters on some old-school games that will be wheeled in for the event … and everyone can enjoy a lineup of local beers. That doesn’t even begin to scratch the surface, but it’s a start. You can also find me having breakfast at Piper’s Pub on Wednesday and dinner with my friends from Grist House there on Thursday. 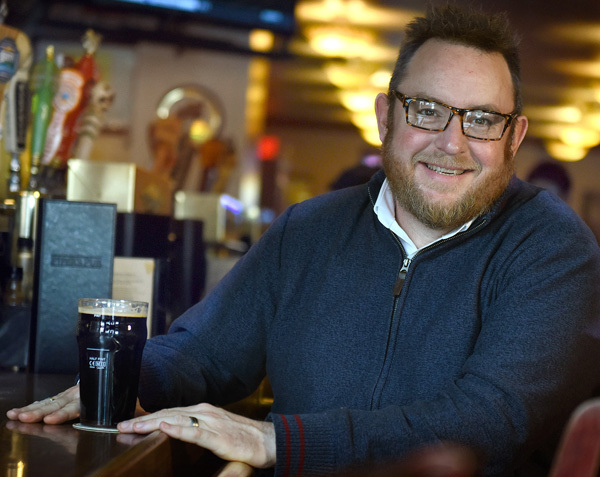 And I think I’ll venture up to Cranberry on Tuesday to get my first look at Pig Iron Public House … and a taste of a comic book beer. What will you be up to during beer week? Let me know with the tag #PGBeerMe and I’ll see you out there.